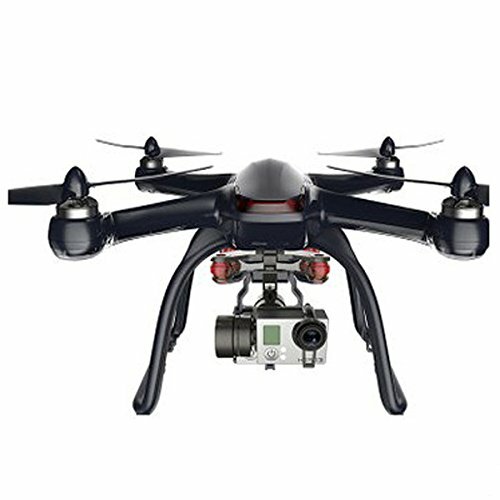 Hubsan H109S X4 PRO is a quadcopter drone with 1080p HD camera with 1-axis gymbal and FPV real time trasmission of photos and videos. You can change the angle of FOV. It also has GPS, it means it can hold position and hover, making the flight more accurate and safer, and allowing the drone to go back to the position from where it took off when it loses control or the radio signal. It also features a 6-axis gyro for strong stability, stronger wind resistance, easier control. 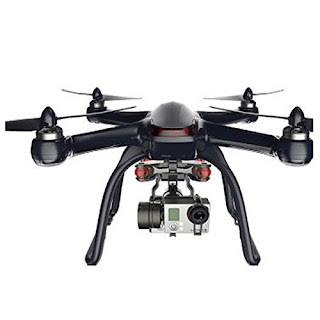 The X4 Pro Low Edition Quadcopter with 1080p Camera and 1-Axis Gimbals from Hubsan boasts an expected flying time - fully laden with a gimbal and camera (camera available separately) - of up to 27 minutes, depending on conditions. Additionally, with all cargo removed (including the gimbal and any camera) flights of up to 40 minutes become possible. This bundle is classed ready-to-fly (RTF), meaning all essential hardware is included and only basic assembly - such as attaching the props with the included prop wrench - is required. The bundle includes a 2.4 GHz FPV (handheld controller) with built-in 5.8 GHz video receiver and video monitor. 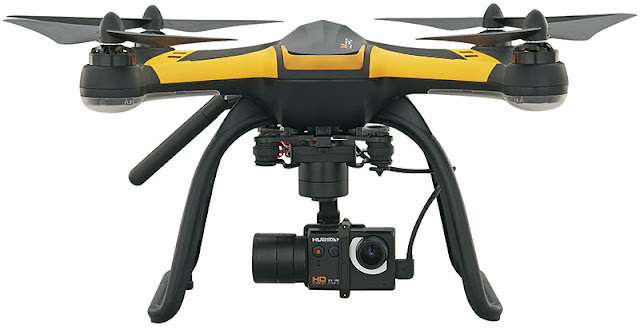 As with other multi-rotor systems, it features a GPS based flight control system. The enables very precise positioning, which is especially important when recording video, and provides enhanced flight stability compared to relying on gyro/IMU data alone. Thanks to the ground station system integrated into the transmitter, waypoint navigation is also possible. With this technology, you simply plot a point-to-point rout over a map using the device's touchscreen. If you change your mind, the waypoint course can be updated in-flight. 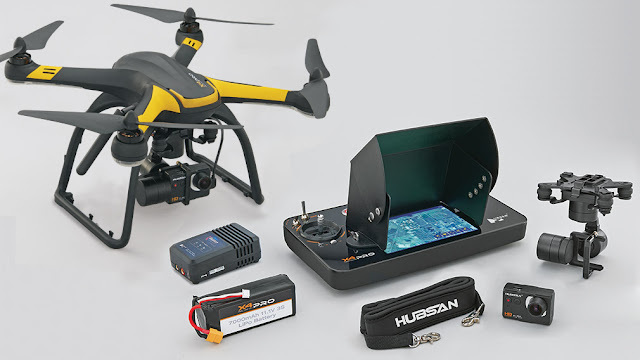 Along with the quadcopter, transmitter, camera, and gimbals, this bundle includes a 7000mAh 3S LiPo flight battery, a battery from the transmitter, a battery charger, a prop wrench, a set of prop guards, and antennas for the transmitter and video receiver. 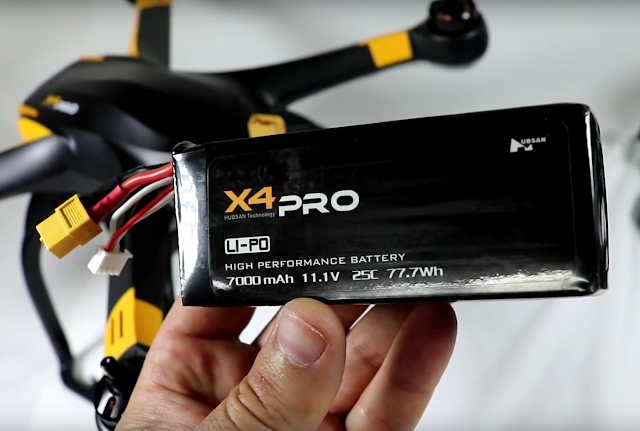 The X4 Pro has a very lightweight body "364g" and is made of very tough and durable plastic. The drone is armed with a 3D camera gimbal and a 1080P camera. 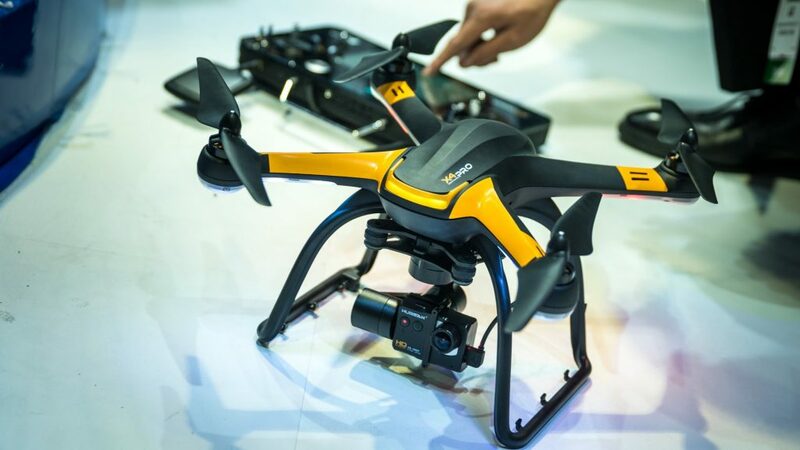 It can be mounted with a GoPro camera as well, which is the preferred option of many drone photographers. One thing I liked is that it comes with an emergency parachute system. The parachute can be reused again and again. We have Two 1-Axis Gimbals for Camera and Smartphone Mounting. The bundles features two mounting solutions. The first works with the included HBS1080P 1080p action camera as well as GoPro HERO cameras. While the second allows you to catch aerial shots with a smartphone. I liked the built-in camera that Hubsan X4 Pro comes with. It offers 3 megapixels of resolution, which may not necessarily be the best you will get. X4’s built-in camera shoots videos in 1080p and does deliver a high-level video. But this should be good enough for recreational purposes. If you want something more than this, then I recommend attaching GoPro cameras to the Hubsan X4 Pro mount. Hubsan H109S comes in 2 variations. One of them is considered the standard one while the second one comes at almost double the price and has the “High Edition” tag next to its name. One of the key differences between the two is the type of gimbal they come with. While both versions come with motorized gimbals, the standard one does not have stabilization system built inside. True, you can still use the gimbal to rotate your camera, but there is not going to be any stabilization present which makes your footage not that smooth. On the other hand, the high edition’s gimbal is a 3-axis one with built in stabilization system that will take good care of your aerial footage. The stabilization is great and you will definitely be satisfied with the end product. 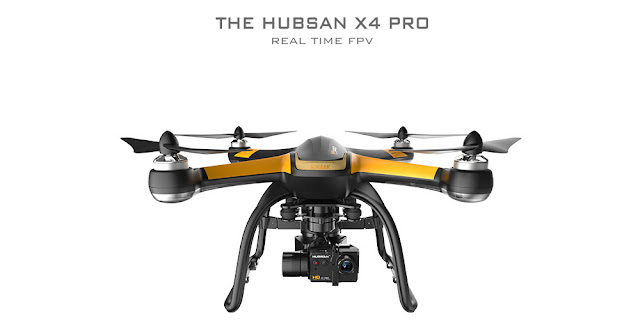 The Hubsan H109S X4 Pro is considered as an FPV explorer drone, it is only logical that it has solid flight time. This is ensured by its powerful 7000mAh smart Li-Po battery carefully tucked away inside the main centerpiece. Without camera or parachute (yup, this drone is one of the first that comes with an actual parachute) it can fly for over 30 minutes, beating even some of the premium models such as DJI Phantom 4. On the other hand, when you connect the camera, due to the increased payload weight the battery will run out quicker. Still, there is nothing to be alarmed for since you will probably get around 25 minutes even with the camera mounted. Regarding the range, I was quite surprised by the performance of this drone. Even though the official specifications state that it can travel up to 1000 meters both with or without FPV, I got far more than that. Roughly, I got up to 1600 meters (1 mile) on live feed before the interference came along and forced me to make an 180′ turn and head straight back. Still, needless to say, I was impressed by the range which is bigger than that of DJI Phantom 3 which is its main competitor in terms of price and performance. Box Dimensions (LxWxH) 23.3 x 19.9 x 11.8"
Great review of the HUBSAN H109S X4 PRO. It sure looks like a terrific drone.